We often hear the refrain that rural youth are smart enough, but their lack of English language skills is a major problem and so on. However, after working with local government councillors, school teachers and rural youth leaders in the past 12 or more years, I am beginning to think that the problem is not with our rural folks. The problem is with city folks who don’t give Sinhala, the language of the majority, its due respect. In Britain, somebody who is brown outside and white inside is apparently called a ‘coconut’. In the Sri Lankan context white would represent our own kind of being white – i.e. growing up with English as the language spoken at home. The English Speaking Elite (ESE) in Sri Lanka is separated from the rest by a language chasm of the scale of the Grand Canyon in USA. This separation is as real as separation by race. If we inherit race through genes (nature) as they say, we inherit language through the language spoken at home (nurture). In Britain, the coconuts are the outsiders trying to get in. In Sri Lanka, the coconuts or the ESEs are the insiders, unconsciously or even consciously, keeping the rest outside, I would argue. My arguments would apply equally to the ESE with ethnic links to Tamil communities in north and east. The movie ‘Grand Canyon’ addresses the Black-White chasm in American society. At the end of the movie the main actors end up making a trip to the Grand Canyon, perhaps signifying that they understand the magnitude of the chasm. Skin colour is a strong divider indeed and race relations in USA are at a low point today, but, if not for affirmative action in higher education it could have been worse, I would surmise. In Sri Lanka what we have are two cultures separated by a foreign language – i.e. those who grow speaking English at home and those who do not. Among those who do not speak English at home nearly 25% would come from Tamil speaking homes, but, I want to focus on the Sinhala language part, noting the ‘ESE v. Others’ chasm would exist in minority communities as well. In the colonial days we had popular leaders like Anagarika Dharmapala and writers like Piyadasa Sirisena, W.A. Silva and other cultural figures addressing the coconut issue head-on. Those who emulated the whites and disdained local ways were ridiculed as ‘Kalu Suddas’. Now we have ‘Alaya’ and ‘Pottha’ distinction in the universities with the Alayas representing ESEs or wannabe ESEs or the few who are ok with ESEs. Then we have the Toyya and Baiya distinction in the political world, with Toyyas being the Alaya counterpart. Except in those two domains the rest of Sri Lanka seem to have segregated itself into two totally different worlds as the ESEs and Others, without even an acknowledgement as to their differences. In case anybody is tempted equate ‘ESEs versus Others’ distinction with the ‘Desha Drohi v. Desha Premee’ distinction, I hasten add that some of the ESEs are some of best Sri Lankans you would find. Only problem is that they are separated from the majority of Sri Lankans through a language divide. The TV series ‘Downton Abbey’ is perhaps an overly simplified but an entertaining way to think of chasms that were bridged. World War I marked the beginning of the transition of British society from one where the landed gentry held sway to a more egalitarian society where the former ‘servants’ and other dependents became professionals, entrepreneurs, etc. The fact that the transition did not require a change in skin colour or learning a foreign tongue would have certainly helped. Education too would have played a big part in the transition. I am hard pressed to find any historical documentation on the topic, but, in the TV series, one maid leaves the ‘service’ early on to study to become a secretary and she returns to the mansion as the wife of a nobleman. The cook’s assistant, Daisy, is studying hard getting ready for the transition. Mr. Mosely, the well-read footman, gets recognition with a teaching position. Daisy’s suitor cannot read, but, finds that he needs to be literate even if he wants to be an assistant to a pig farmer. Mr. Spratt, the clumsy butler to the old duchess, turns out to be writing under a pen name. I am sure, in real life too, a whole class of people bridged the seemingly deep class divides through education or entrepreneurship. 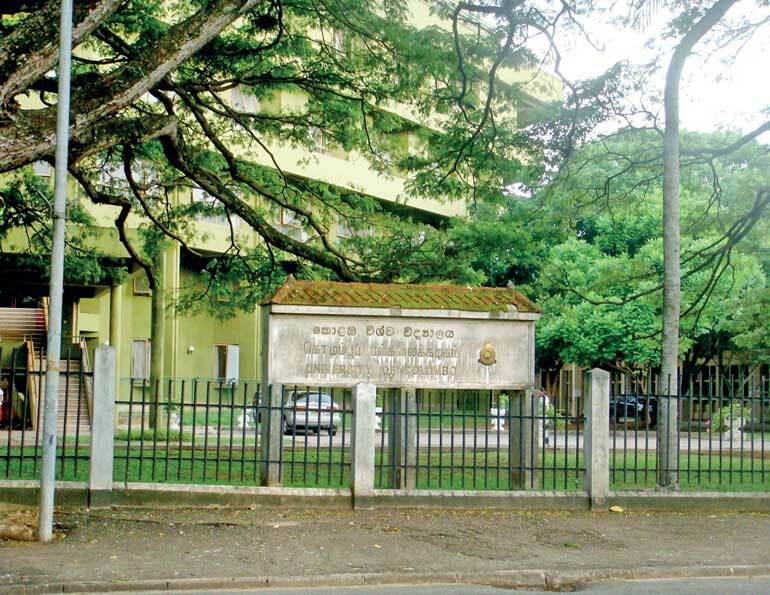 Public universities in Sri Lanka used to be places where different social strata mixed. In the central colleges catering to Grades 6-12, the medium of instruction was in English, but, the school culture was as local as it could be. Those who went to university from those schools embodied the best of both worlds and held their own with the ESEs at that time. Today, most of the ESEs and aspiring ESEs are not even considering local higher education as options. The medical field is one exception where a free-of-charge medical education remains attractive. In social science and humanities, 85% or more of the student body is female and from rural backgrounds. The university still can be a place where these young people are given a truly global learning experience and are able deal not only with the local ESEs but any situation anywhere. Unfortunately, our university teaching staff is no more global in their outlook than the incoming students. In fact the majority of the faculty seem to be happy to isolate the students and themselves in opposition to the ESE and the rest of the world. Most of the private higher education institutions were established within last 20 years. As early as 2002, LIRNEasia did a survey of institutions offering ICT degree programs to see whether a ranking of institutions is feasible and our conclusion was that the sector was still too young to be put under the pressure of being ranked. In 2011, LIRNEasia carried out a survey of institutions awarding degrees or degree-equivalent professional qualifications such as CIMA passed-finalist qualifications and found nearly 50 private institutions offering degree programs. In a follow up survey of the all private tertiary education opportunities we found 600+ education and training programs offered by 200+ plus institutions in 30+ sectors from accountancy, architecture, and aviation to logistics, to teaching and tourism. While the growth of private education is a positive sign, unfortunately, the sector seems to have positioned itself on the ‘ESE’ side of the social chasm. As the number of institutions offering private opportunities increase, they are finding themselves chasing after a limited ESE market for enrolments. Private providers seem to be well aware of these limitations and are indeed reaching out to the other side of the chasm. Recently one institution announced the plans for awarding 100 merit scholarships worth 80 million rupees, with merit determined by Z-scores published by the University Grants Commission. In a personal communication, a head of another institutions said currently they are touring distant provinces in a major recruitment drive. The private institutions seem to think the barrier to enrolment is money and English efficacy. They do not seem to comprehend the extent of alienation of the rural youth from the ESE culture prevalent in the private sector. I would argue that rural middle classes would sell land to educate their children if they were comfortable with the private education sector. Even those without land would work abroad and save every penny if they felt a private higher education would open doors to their children. The barrier is cultural. When rural parents and students, whether they are from Muttur in the Eastern Province or Hambantota or Kurunegala, when they enter a private institution they should not feel like they are entering a little England. It is for the private institutions to decide how they make the average Sri Lankan student not feel like a stranger in his/her own country. In Colombo, a good mix of Sinhala and English usage in the social environment of these institutions would make anybody feel welcome. In Trincomalee and Jaffna, on the other hand, a good mix of Tamil and English would be in order. The point is that our private institutions, higher education institutions, in particular have to situate themselves in the local culture, if they are to serve a larger local market. The ESEs too would benefit from a more diverse learning environment away from the ESE bubble in which they live.